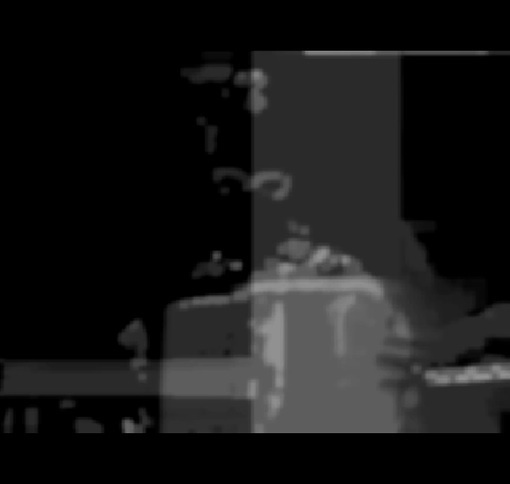 From the A/V series "Musicians and Their Instruments"
Five Audio-Visuals Compositions is, as it's name suggests, a set of five audio-visuals compositions. The work was originally designed as a set of scores for analog and DIV electronics, which was later adopted into a 25 min A/V piece. Composition No. 4, titled "Feedback", has been released recently at Carrier Records "The Best is Noise". Toys' Opera is a multimedia installation or performance project for multi-channel video, multi-channel sound-art, and physical-computing. It's centered around a small universe of HO-scale trains, models, contact microphones, and miniature cameras on a 5ft x 4ft stage, most of which are serially-controlled via Arduino microcontrollers. The project has been presented at national and international professional conferences, festivals and art galleries. Mining the intersection of gender formations, cultural identities, and national identities, this work is concerned with the place in which the human body becomes the subject of a state, and citizenship makes moral and ethical claims upon our bodies. Still Life: Israel Eats itself is a 4D portrait of a gendered identity invented by and then cannibalized by the state. Incorporating an interview with a PTSD afflicted veteran of 5 wars, this 5.1 surround sound and video installation was shot on super8 and surveillance cam. The human body is being used as an analogue to landscape, land occupation, and 'Holy Land', to interrogate concepts of kinship, nation state, and Middle East border conflict. Still Life: Israel Eats itself was produced with support from the Toronto Arts Council and Harvestworks Digital Media NYC.